Plots, character arcs, tension graphs, photographs of our characters, scenery inspiration, etc, all of that is in our heads and all over our desktops. But writers do much more writing than just on our books. We do queries and synopses and flap copy and then there's all those bits of inspiration, funny or amazing photographs, tons of inspiring quotes that we've collected over our writing careers. So how do we keep all that stuff organized? Here's ten ideas. 1. 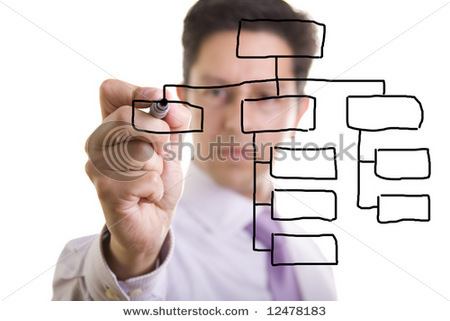 Dry erase boards or Acrylic sheets. The classic big white dry erase boards that are used in hospitals, schools, and offices the world over. Also use clear acrylic sheets with dry erase markers, they can be written on while not obstructing the background color of your walls, perfect for those that share their writing space with others. Bonus points if you use them in a folding screen that can be tucked away when company comes over. 2. 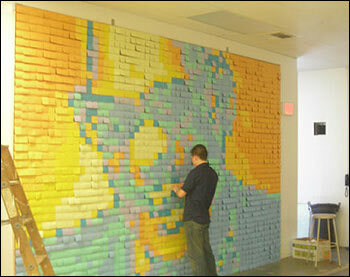 Post it notes. The old classic sticky paper bits can be used and rearranged, swapped out, crumpled, or even used as decoration in and of themselves. 3. In the shower, use these Crayola Bathtub Markers to jot down bits of inspiration. Alternatively, use 3M hooks to hang a sheet protector on the wall. Store a dry erase marker in it and when inspiration strikes, you can write right on the sheet protector, then unhook it when you're clean and dry and take the notes with you to your office. If you've got glass shower doors, you can also write right on them, but those are tricky to take back to your desk. 4. Mirrors. In the bathroom, or with small decorative ones in your office, use the dry erase markers to keep notes or inspiring quotes nearby. 5. On the go, keep a small voice recorder handy. Sometimes they are included in cell phones and can be programmed to use by pressing just one or two buttons. Alternatively, call yourself and leave a voicemail that you can pick up later. if you do a lot of waiting in the car to pick up kids, break out those dry erase markers and use them on the windows. But don't put them in places that can hinder your ability to drive. Sit in the back seat and use those windows. 6. If you're not at home and can't make a noisy phone call, keep a small pad of paper and a pencil in your bag. Those little IKEA pencils are awesome and are practically indestructible. 7. Scrivener or Evernote. Even if you don't decide to use Scrivener for actually writing your book, you can use the drag and drop features, the color coding, the corkboard, and all of the other indexing and organizing tools to keep your scenes and chapters in order and to re-order them easily. A free alternative is Evernote, which can be used on computers and most phones, and also on other mobile devices like the iPad. Save notes, music, voice messages, photos, snippets of conversations, anything that strikes your inner muse. 8. Broke? Get a few strips of clear packing tape on a bit of cardboard to use as a board and use dry erase markers to write with. You can fold the cardboard so it stands up on your desk, too. Awesome for less than $2. 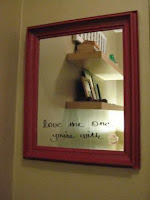 Even better, write on the glass in your windows. Notes and a view. Perfect. 9. Desk mats. They come in colors and in clear plastic, or you can get a piece of beveled glass for your desktop. It looks classy and you can erase your to-do list with one swipe of a finger. 10. Chalkboard paint. Cover an entire wall or just a few feet in an empty frame and use chalk to keep your notes handy. They come in many colors now, and can even be used over magnetic paint so you can use magnets and things too! Oooh, such good ideas. Especially the bath markers. Inspiration always seems to strike while I'm in the shower. I use note cards in a little flip-style notebook. Which is pink. I have it tabbed off between scenes and notes. It's the perfect size for carrying around with me anywhere. I'm totally going with the "notes with a view" scene. I have a huge picture window by my desk. Why didn't I think of this before? Simple and relevant tips, I'll sure be using some of them. These tips are great! Thanks for sharing. Sometimes if I don't have anything to write on, but my phone is handy, I will send myself a text or email. Wow!! Awesome list ;o) I use the recorder on my phone all the time. I also email myself ideas a lot (from the phone usually) I never thought of the crayolas in the shower though. Ingenius!! Love all these ideas! I want to check out Evernote! Wow, those are all amazing ideas. And easy (mostly), too. Thanks! I never really considered the shower markers or using my dry erase pens on my windows... both these ideas are brilliant. Thank you for so many great ideas! I'm going to try the mirror and the crayons for the shower. I always get my best ideas in the shower! It's the strangest thing! I think #10 is my favourite...to have an entire wall...wow. At the moment all I use are post it notes and a whiteboard and many notebooks. Thanks for the tips, I am on my computer all the time, so I make good use of Scrivener and Evernote and can't live without them. I am leaning towards the dry-erase makers for the car windows, that would make for a crazy 'Beautiful Mind' scene in the school parking lot.